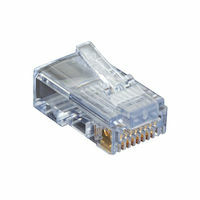 EZ RJ45 Cat6 modular plugs make accurately terminating your Shielded Cat6 cabling a breeze. 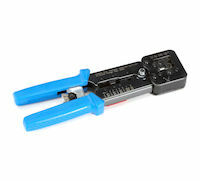 Simply insert the cable wires into the connector so they go through the nose of the plug, and then use the FT1100A or FT1200A EZ RJ45 crimp tool to complete the termination. 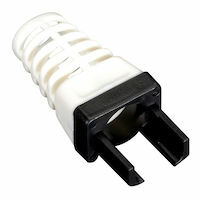 Not only does the EZ plug design make terminating your connections faster, but it also reduces wasted crimps and scraps by allowing you to easily confirm your wiring is correct when the wires are fed through the connector nose. 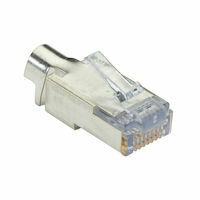 They feature 50 Micron Gold plated contacts to ensure optimal performance, and work with round solid or stranded cable. 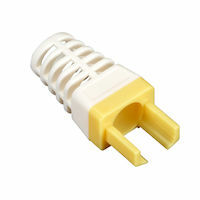 Available in packs of 25, 50 and 100, and in an unshielded plug. 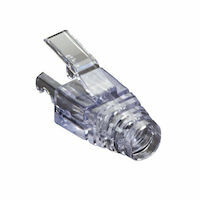 FCC compliant, UL rated, and compliant with the Federal Trade Agreements Act (TAA). 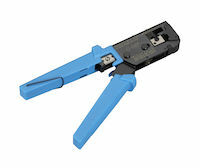 Maximum diameter of wiring in cabling used with this product must not exceed 0.041in. Also available in packs of 50 and 100. 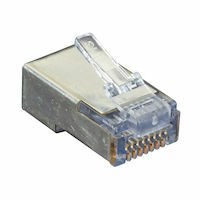 The CAT6 EZ RJ45 Modular Plug Connector - Shielded, TAA, 25-Pack comes with a standard Lifetime Double Diamond™ Warranty (Standard) already included.